Mirko Boeddecker of Adox has given quite a candid interview to Jesse Struyvelt of the Film Foundation, a chat which has just been published on the Japan Camera Hunter website. I'm not sure whether to feel good or bad about it as it paints a picture of a world where there is at least a selection of film stocks at ever-higher prices or a marketplace where there are only one or two films to choose from. One of the main developer constituents, hydroquinone, is also threatened by the overly-bureaucratic and completely undemocratic EU and it's demise would sound the death knell for Adox and possibly even film photography as we know it. I suppose this really shouldn't be a great surprise to any of us as that's the way the analogue world has been going for some time but it still comes as a bit of a shock when you see it in black and white from a company with a great name like Adox, albeit the firm almost falls into the "boutique" category nowadays. Mirko said his goal was to keep the company's costs and overheads down so that they are never dependent on big sales for viability but are still able to respond to the demands of the market with film, paper and photo chemistry. Interestingly, he also revealed that it's not film sales that are likely to keep his company afloat in the future but how much darkroom paper they can shift. To that end, he had a special plea to make, "Do yourself something good and stop scanning like crazy. Listen to your eye doctor and get your nose off the computer screens. Print and enjoy the real advantage of the analog imaging system by holding a superior product in your hands: a fibre base, silver print from an analog negative." So now you know. 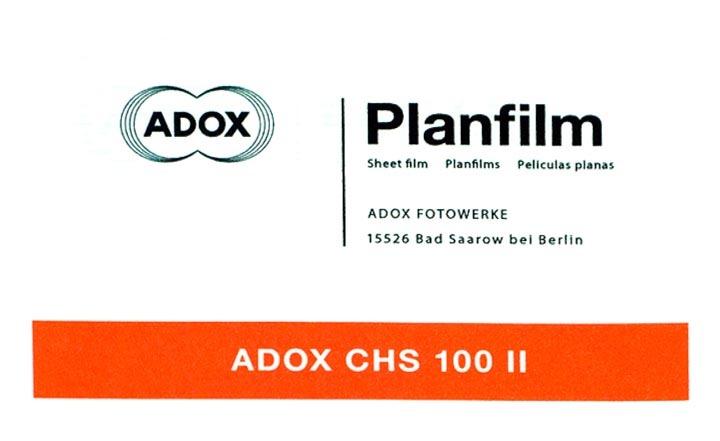 At least according to Adox, the future of film is closely tied to the state of the darkroom industry. The more photographers we can encourage to print at an enlarger, the better chance we have of keeping a semblance of choice in film stocks. The reason I started this website - incredibly, almost 250 posts and three years ago - was to do just that: promote film and the darkroom. I feel I've done a decent for film but I've fallen woefully short where darkroom printing is concerned. In fact, Omar's efforts have been far more productive than mine so thank goodness for my Turkish friend! One of the problems with posting anywhere between three and six times a week is that there isn't an awful lot of time left for darkroom work. This morning, for instance, I've been on the internet looking for film news that I can share with you and then writing about it. That's time I could have spent in the darkroom or developing the roll of Silvermax that I finished yesterday at a new location I've found that dates back to 1664, has a bit of history about it and which I'll write about in due course. Of course, whilst it's easy enough loading a roll of film into a camera, processing it and then running it through a scanner, the darkroom takes a lot more effort and expense. Probably the biggest barrier for most people, though, is a lack of space. That's why it's vital, I think, to encourage initiatives based around community darkrooms which people can hire to do some printing. Ilford's excellent idea to include a searchable database of such facilities on their website is to be applauded. But back to Mirko and Adox and the stark warning that we're all going to have to shell out more for our hobby. Asked about the future for film, he said, "Things will continue as they have been in the past. Additional manufacturers will close and products will disappear unless the consumer is willing to accept higher prices for film." And on the subject of hydroquinone, Mirko added, "European Commission do NOT take hydroquinone away from us! "If they do as they have planned that’s the end for analog photography in general. This is at present the greatest threat although I cannot judge what the chances are that they will actually do it. For sure it’s on the list of substances to be evaluated for elimination since last year." 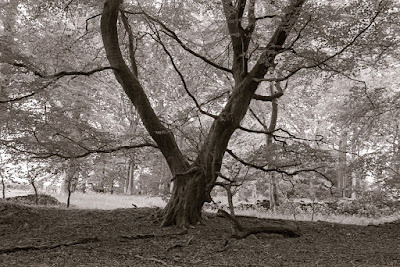 The article is well worth a read and you can find it here on the Japan Camera Hunter website. Thanks to reader Kenny Wood for pointing the article out to me. Is there any reason European manufacturers couldn't move outside the EU? It seems, given how much Harman actually invests in their factory, like moving production would still be better than saying goodbye to that revenue stream. And Adox is small enough they just might be able to pull it off. I suppose the problem would be that you wouldn't be able to sell products containing hydroquinone in the EU if it was banned and the EU must be the biggest market for Adox. Let's just hope for the best, I think there are way worst substances than hydroquinone out there. That said there are other chemicals that can be used to brew developers, albeit they might be less efficient. Then indeed the prints are really going out of fashion in favor of PCs and big TV screens, sadly. Personally nothing can beat even only the tactile feeling of a print on fiber paper. I think, Bruce, you're doing a lot for the fine art of "traditional" photography even only hosting the excellent Omar's articles which share the beautiful craft of silver gelatine printing; at least you're keeping light and vigorous the flame of passion for darkroom craft in me : -). Thanks for that. Quite alarming news. I have quite a limited experience but I think for film development there are already some eco friendly, hydroquinone free solutions e.g. xtol and caffenol although I must admit that in general I prefer the results I get with Barry Thornton's DiXactol Ultra. Paper development on the other hand is probably a different story. I guess more strict legislation about the disposal of chemicals should suffice but probably bureaucrats think differently. What also worries me a bit is that not many new film cameras are produced these days. Obviously the used market is still full of great second hand gear but sooner or later repairing them will become more and more expensive and difficult due to lack of spare parts. Let's hope technology like 3D printing could help in this respect. I am now going into my newly installed darkroom to start printing! Is not only the problem of the Hydroquinone in the EU the kryptonite for analog photography. The customs are a big problem outside Europe, where reside the alternative market they have. The rules to export/import chemicals too. I had to ask a friend that comes from the old world to get some Rodinal because the long lasting properties. Was a surprise for me that paper was put before film to maintain the sells. The problem to print in the analog way is that the right way to do it is with fibre but real paper is difficult to wash and very inestable compared against the digital process. Anyway, if they have problem consider this post I publish in my country where we are having problems both ways, analog and digital. Thanks for the link, Hernan. It can't be easy for you at all. Your iphone experiment turned out really well and the print definitely has an arty look to it. Wonder what a 5x4 ipad image projected onto a sheet of whole plate would be like?